There is a lot written about the higher education bubble and how something needs to be done before it bursts. What makes college a bubble is the fear that the money that a student pays into tuition won't be recouped in higher wages after graduation. If the student can't find a job for which she is trained, then the tuition was a bad investment. Why pay $100,000 for college if the graduate will not make $100,000 more than another worker with a high school degree? Add the finance charges of student loans, and the problem is that much worse. But what if the this whole argument is based on the wrong premise? More on that in a moment. The fact is, college is a very inefficient place to get trained for a job. Yes, a degree from a top school is mandatory for certain careers: medicine, academia, law, finance. If a student knows that he or she wants to go into one of these fields, then that student should go to the best school possible and focus on that career path. But for everyone else, their college education has little to do with their actual job. How many people do you know who have a job directly related to their major? Is four years of study worth more than four years of experience? When people view college as their ticket to higher salaries, they are bound to to be disappointed while the economy and job market is still slow. There just aren't enough jobs for all of the people coming out of school, so there will be too many new graduates piecing together part time jobs or working jobs that don't require a college degree. These young people, and their parents, are now wondering if college was even worth it. If a student only wants to make a higher salary, college is a lousy bargain. Here's a suggestion, those students should learn to code. Take some classes in C++ and Ruby at the local community college, work through tutorials online, build experience on some freelance jobs building iPhone apps, and the chances of pulling down a six figure salary are significantly better than if that same person earned a degree in French literature from a private college. Or go to a trade school, be an apprentice, and join a union. A trained welder makes a lot more than an anthropology major who is still looking for work. Another idea I have read about - take the money your family has set aside for college and start a business. A entrepreneur can do a lot with $50,000 and an idea. However, when students view their college education as more than a résumé builder, then the tuition makes a lot more sense. The tuition investment may not immediately help financially, but it will pay off intellectually, socially, and emotionally. College is about exploring ideas and discovering yourself. It is one of the few times in life when you can take a class about art, psychology, philosophy, or calculus. It is a chance to debate ideas late into the night, to join a robotics club, to meet people from different places, to learn how to think critically. That is why it is great to study French literature or pursue an anthropology major. Those students may not have a career that involves French literature or anthropology, but they will certainly have a career where they must think, write, and persuade others. And don't discount the value of networking with other alumni later in life. Which brings me to a point that is not obvious to recent graduates, most of them will have several careers in their lifetime. In the 20th century, it was common for a young person to get a job in a GM plant or a school district and stay there for their whole career. Today's workers might have an average of seven careers according to some sources. 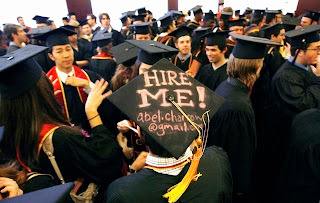 It would prove short-sighted for a young person to skip college in favor of going into a service job when she may soon feel inspired to move to a professional career that requires a college degree. Choosing to skip a university education can limit a person's choices for the rest of their working life. Though I have many successful friends who never went to college, I know that some of them regret it. I think of my one friend that feels embarrassed admitting that he never went to college, and I compare him to my other friend who is proud to share that she is the first person in her family to earn a degree. This idea is more important to everyone, but it should be part of the decision. If at all possible, I believe students should always choose college, not because it will get them a better job, but because it will make them a more well-rounded person. It will open doors and give them confidence for the rest of their life. I don't, however, know if it is worth skipping a reasonably-priced state school in favor of a high-priced private college. That is a topic for a different article. And when it comes time to write your application essays, don't forget to use Clickademics Essay Engine; it will help you organize your thoughts and write a catchy introduction.